Education/ Current position: PhD, Biological Science, 1977; Professor of Histology, University of L’Aquila, Italy. Training: University of Berne (CH), 1982; Oxford University (UK), 1984; Washington University at St. Louis, MO (USA), 1986; 1987. 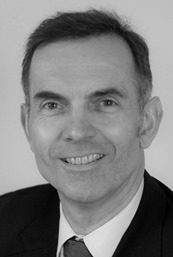 Honours and Awards: Chemofux Prize, 1991; Prix André Lichtwitz, 1993; Swiss Bridge Award, 2008; ECTS Mike Horton Award, 2013. Editorial Duties/ Peer Review Panels: Editorial Boards: Bone; Calcif Tissue Int; Arch Biochem Biophys; BoneKey Reports; Br J Pharmacol. Reviewer: >40 international Journals & 15 grant agencies. Professional Societies: President: Association of Osteobiology. Past Treasurer: ECTS. 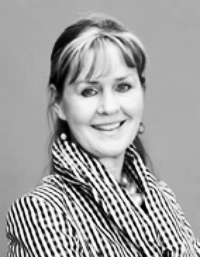 Past Vice President, IBMS; Current member: Research Prize Committee, AuSBMR; Women’s Committee, ASBMR. Scientific achievements: Osteoclast isolation, characterization, podosome discovery, intracellular calcium mobilization and pH regulation; pathogenesis and experimental therapy of osteopetrosis; role of c-Src in osteoblasts; role of IL-6 in bone metabolism; role of PRELP and CHAD in bone metabolism; role of lipocalin 2 in bone biomechanics. Dr Claus–C. Glüer is a Professor of Medical Physics at the Department of Diagnostic Radiology, University Hospital Schleswig-Holstein in Kiel, Germany. His research is aimed at the development of innovative parametric imaging techniques and their quantitative evaluation. 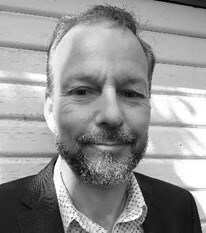 Since 1987 when he started his postdoc in the Osteoporosis Research Group of Prof. Harry K. Genant at the University of California, San Francisco, Dr Glüer has focused his research on osteoporosis and other bone disorders. He has contributed specifically to the development of bone densitometry, quantitative ultrasound and high resolution computed tomography approaches. He has coordinated several multicentre studies including OPUS, a European project on epidemiology and optimised diagnostic assessment of osteoporosis. 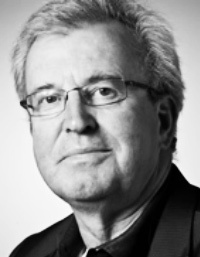 He is responsible for developing case finding models and strategies for the German osteoporosis guidelines. 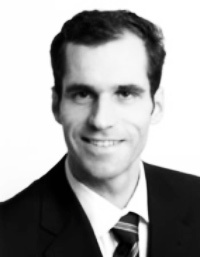 Dr Glüer also has a strong research interest in multimodal methods for molecular imaging with applications in oncology, inflammation, and skeletal research. He co-founded the Molecular Imaging North Competence Center (MOIN CC) at the Christian-Albrechts-Universität zu Kiel, a preclinical imaging lab. At MOIN CC, multi modal imaging studies combining micro computed tomography, high-field magnetic resonance imaging, high resolution ultrasound, fluorescence and bioluminescence imaging can be carried out to study morphological, functional, cellular, and molecular processes in health and disease and to assess therapeutic effects. Dr Glüer is the current president of the German Society for Osteology (DGO) and past president of the German Academy of Bone & Joint Sciences (DAdorW). He has published more than 175 original papers, 20 books and book chapters, and holds 3 patents. Erik Fink Eriksen is a Professor of Endocrinology at the University of Oslo. With 22 years of clinical medical and research experience in Internal medicine and Endocrinology, in particular calcium metabolic- and osteoporosis research. He was a consultant for several pharmaceutical companies (Procter & Gamble, Rhone Poulenc Rorer, Novo-Nordisk, Glaxo–Smith Kline, Merck) during that period. Over 6 years of experience as manager in the pharmaceutical industry, where he have taken two successful osteoporosis drugs (For(s)teo and Aclasta/Reclast) through clinical development, approval by regulatory authorities and global launch. Extensive experience in basic and clinical research within calcium metabolism and osteoporosis (>250 publications). My goal is to provide new solutions to unmet medical needs and expand our general knowledge in relation to musculoskeletal diseases. Specialties: Clinical drug development, conduct and development of clinical trials, basic cellular and molecular research methodology, medical-marketing interactions, extensive clinical medical experience within internal medicine and endocrinology. 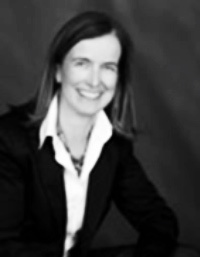 Gudrun Stenbeck studied chemical engineering at undergraduate level and received her PhD from the Technical University Darmstadt, Germany, in 1993 after PhD work in the laboratory of Prof Felix Wieland at the University of Heidelberg. She then undertook postdoctoral work with Prof James E. Rothman at the Memorial Sloan Kettering Cancer Centre in New York before joining the laboratory of Prof Mike Horton at University College London to study the molecular mechanisms of osteoclastic bone resorption. She was awarded a prestigious Arthritis Research UK fellowship in 2000 to establish her independent research and is now a lecturer in Biomedical Sciences at Brunel University in London, UK. Her research focuses on the cell biology of bone homeostasis and extracellular matrix deposition. Her current research is aimed at the characterisation of the signalling events relaying extracellular stimuli to components of the intracellular trafficking machinery to develop new strategies for the treatment of osteoarthritis, osteoporosis and fibrotic diseases. Her research has been funded by Arthritis Research UK, the Royal Society and the Welcome Trust. She teaches cell biology and biochemistry at both undergraduate and postgraduate levels. Bo Abrahamsen is an endocrinologist at Holbæk Hospital in Denmark and primarily treats patients with osteoporosis, metabolic bone diseases and parathyroid disorders. He is also a professor of clinical database studies at the University of Southern Denmark. He attended Medical School in Odense, Denmark, the B.Sc. Hons Course in Experimental Pathology at St. Andrews, UK, and part of his PhD lab work at UMASS Medical Center, Worcester, MA. Main research interests include absolute fracture risk, secondary osteoporosis, fracture epidemiology and safety of anti-osteoporotic drugs and supplements. He served on both ASBMR Task Forces on Atypical Femur Fractures. Dr Abrahamsen is the clinical co-chair for the ECTS 2019 annual meeting SPC and Deputy Editor of JBMR plus. He is a former member of the Board of Directors of the American Society for Bone and Mineral Research and Associate Editor of the Journal of Bone and Mineral Research. 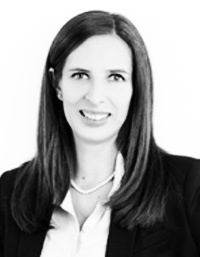 Nuria was born in Barcelona and received my MD from the University of Barcelona. She was trained in Rheumatology at the Hospital Clínic and since 2004 she has been Head of the Department of Rheumatology at the Hospital Clinic in Barcelona. 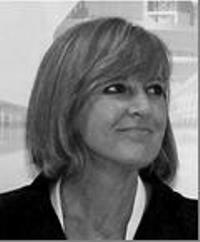 Nuria obtained her PhD in 1987 from the University of Barcelona, and since 2007 she has been Professor of Medicine at this University. Nuria was visiting scientist at the Jewish Hospital in St Louis, MO (1988) and at the Johns Hopkins University School of Medicine in Baltimore, MD (1992). She received the Professional Excellence Award from the Medical Association of Barcelona (2009). She has authored over 130 publications in the field of bone diseases, with her main areas of interest being bone turnover markers and bone disease in chronic liver diseases. At present, she an Associate Editor of BONE. She leads an active though small group of scientists in bone diseases. Lorenz Hofbauer was born in 1968 and studied Medicine at the University of Munich where he obtained his MD degree in 1995 in the thyroid field. His interest in bone research was stimulated during a Postdoctoral Fellowship at the Mayo Clinic, Rochester (USA) under the mentorship of Drs Larry Riggs and Sundeep Khosla from 1996 to 1999. In 1999 he moved to Philipps-University of Marburg, Germany, where he established his own research group focusing on the role of the RANKL/OPG pathway in bone disease, malignant disease, and vascular diseases. In parallel, he completed his clinical education in internal medicine, gastroenterology, endocrinology, and diabetes with board exams. From 2004 to 2007 he was a Heisenberg Senior Fellow and Consultant in Medicine. In May 2007, he became Head of the Division of Endocrinology, Diabetes, and Bone Diseases, Department of Medicine III at the Technical University Medical Center at Dresden, Germany. Professor of Endocrinology and Osteology at the Medical University Graz, Austria. Head of Endocrinology Lab Platform and EndoGeneLab, Deputy Head of Department of Endocrinology and Metabolism at the University Hospital Graz. Research clinician involved in basic, translational and epidemiological research. Head of the 5–years Comet Project “BioPersMed” (Biomarkers of personalized medicine). 142 articles in peer–reviewed journals (both as Obermayer–Pietsch or as Pietsch B) with about 3000 citations. President elect of the German Society of Osteology (2015–), Secretary of the Austrian Society of Endocrinology 2012–2014, board member 2014–. Numerous research prizes. Member of EU FP7 consortia, steering committees and funding organisations. Reviewer for bone–focused and endocrine journals. Reviewer for national and international official research institutions. 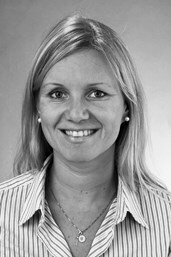 Martina Rauner studied biotechnology at the University of Applied Sciences in Vienna, Austria from 2002-2006. After completing her PhD at the Department of Pathophysiology at the Medical University of Vienna in 2008, she received the ECTS/AMGEN bone research fellowship and joined the group of Professor Lorenz Hofbauer in Dresden, Germany to study mechanisms of glucocorticoid-induced osteoporosis. Since then she has received several awards for her work in the field of bone biology and became a member of the ECTS New Investigator Committee in 2011. Currently, she is establishing her own group in the field of osteoimmunology, where she investigates interactions of the RANKL/OPG and Wnt signaling pathways in inflammatory bone diseases. Hanna Taipaleenmäki is a group leader in the Molecular Skeletal Biology Laboratory (MSB-Lab) at the University Medical Center Hamburg-Eppendorf in Hamburg, Germany. Her PhD studies at the University of Turku, Finland, and at the Endocrine Research Unit, Odense University Hospital, Denmark focused on transcriptional and post transcriptional regulation of mesenchymal stromal cell differentiation. During her post-doctoral training at the University of Massachusetts Medical School, USA, and at the University Medical Center Hamburg-Eppendorf, Germany, she elucidated the contribution of microRNAs in pathological bone remodeling with emphasis on cancer-induced bone disease. Her work has been awarded several awards, including the ECTS New Investigator Award as well as prestigious fellowships and grants. 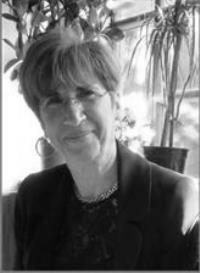 She is an active member of ECTS and other scientific societies and a co-Chair of the ECTS Academy. Associate Professor and staff member at the Department of Internal Medicine section Endocrinology of Erasmus Medical Center Rotterdam, the Netherlands. She has initiated and is heading the Erasmus MC Bone Center, a multidisciplinary expertise center for patients with metabolic bone diseases and disorders of calcium and phosphate homeostasis. 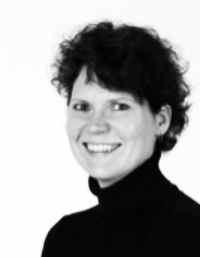 She is president of the Dutch Society for Calcium and Bone Metabolism (NVCB). Her research topics concern the genetic background of complex diseases such as osteoporosis and obesity, the relation of osteoporosis with chronic diseases and mortality and the genetic background of unexplained familial osteoporosis and atypical femur fractures. She is principal investigator in several multi-center trials on treatment of osteoporosis. She has published over 120 papers in high-impact journals with (shared) first authorships in the New England Journal of Medicine, Nature Genetics, PLOS Genetics and co-authorship in several Nature papers. She is frequently reviewing manuscripts for medical journals.